A little paleo goes a long way . . . In this book,�internationally renowned blogger Irena Macri creates complete paleo meals to�show how accessible healthy eating can be.�Here are over 100 of Irena's best recipes of whole foods,�good-quality protein,�nuts and seeds. 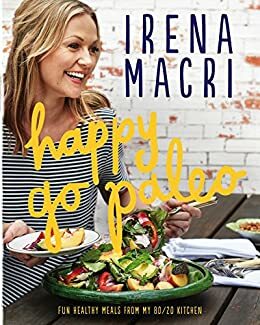 Fun to make, delicious to eat and�using everyday ingredients, all recipes are�gluten free�and�refined sugar free�to help you craft your own�paleo�and healthy eating journey!